The regulatory intent of OBD-I was to encourage auto manufacturers to design reliable emission control systems that remain effective for the vehicle's "useful life". The hope was that by forcing annual emissions testing for California, and denying registration to vehicles that did not pass, drivers would tend to purchase vehicles that would more reliably pass the test. Along these lines, OBD-I was largely unsuccessful—the means of reporting emissions-specific diagnostic information was not standardized. Technical difficulties with obtaining standardized and reliable emissions information from all vehicles led to an inability to implement effectively the annual testing program. For example, the 94-95 Corvettes have one post-catalyst oxygen sensor (although they have two catalytic converters), and have a subset of the OBD-II codes implemented. For a 1994 Corvette the implemented OBD-II codes are P0116-P0118, P0131-P0135, P0151-P0155, P0158, P0160-P0161, P0171-P0175, P0420, P1114-P1115, P1133, P1153 and P1158. This hybrid system was present on the GM H-body cars in 94-95, W-body cars (Buick Regal, Chevrolet Lumina ('95 only), Chevrolet Monte Carlo ('95 only), Pontiac Grand Prix, Oldsmobile Cutlass Supreme) in 94-95, L-body (Chevrolet Beretta/Corsica) in 94-95, Y-body (Chevrolet Corvette) in 94-95, on the F-body (Chevrolet Camaro and Pontiac Firebird) in 95 and on the J-Body (Chevrolet Cavalier and Pontiac Sunfire) and N-Body (Buick Skylark, Oldsmobile Achieva, Pontiac Grand Am) in 95. For ALDL connections, pin 9 is the data stream, pins 4 and 5 are ground and pin 16 is battery voltage. 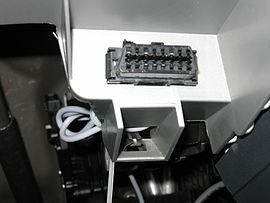 Additional vehicle-specific diagnostic and control circuits are also available on this connector. For instance, on the Corvette there are interfaces for the Class 2 serial data stream from the PCM, the CCM diagnostic terminal, the radio data stream, the airbag system, the selective ride control system, the low tire pressure warning system and the passive keyless entry system. 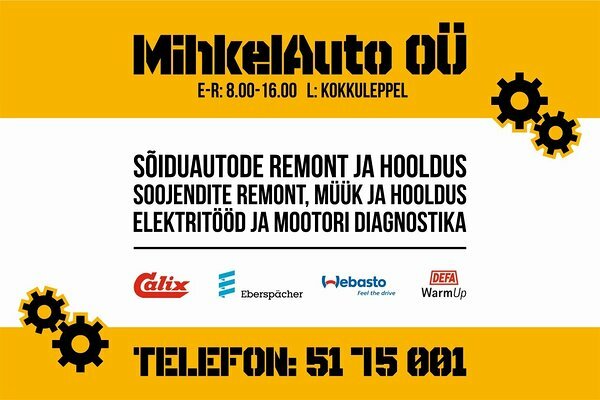 An OBD1.5 has also been used on Mitsubishi cars of '95 '97 vintage, some 1995 Volkswagen VR6's (Juice Box's GTI), and in the Ford Scorpio since 95. OBD-II is an improvement over OBD-I in both capability and standardization. The OBD-II standard specifies the type of diagnostic connector and its pinout, the electrical signalling protocols available, and the messaging format. It also provides a candidate list of vehicle parameters to monitor along with how to encode the data for each. Finally, the OBD-II standard provides an extensible list of DTCs. As a result of this standardization, a single device can query the on-board computer(s) in any vehicle. This OBD-II came in 2 models OBD-IIA and OBD-IIB. Ford DCL(+) Argentina, Brazil (pre OBD-II) 1997-2000, Usa, Europe, etc. Ford DCL(-) Argentina, Brazil (pre OBD-II) 1997-2000, Usa, Europe, etc. ISO 15765 CAN (250 kbit/s or 500 kbit/s). The CAN protocol is a popular standard outside of the US automotive industry and is making significant in-roads into the OBD-II market share. By 2008, all vehicles sold in the US will be required to implement CAN, thus eliminating the ambiguity of the existing five signalling protocols. Note that pins 4 (battery ground) and 16 (battery positive) are present in all configurations. Also, ISO 9141 and ISO 14230 use the same pinout, thus the connector shape does not distinguish between the two.